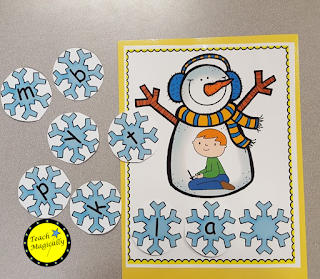 It is winter and time for segmenting, snow, and snowmen! Yeah, anything with a snow theme is fun! 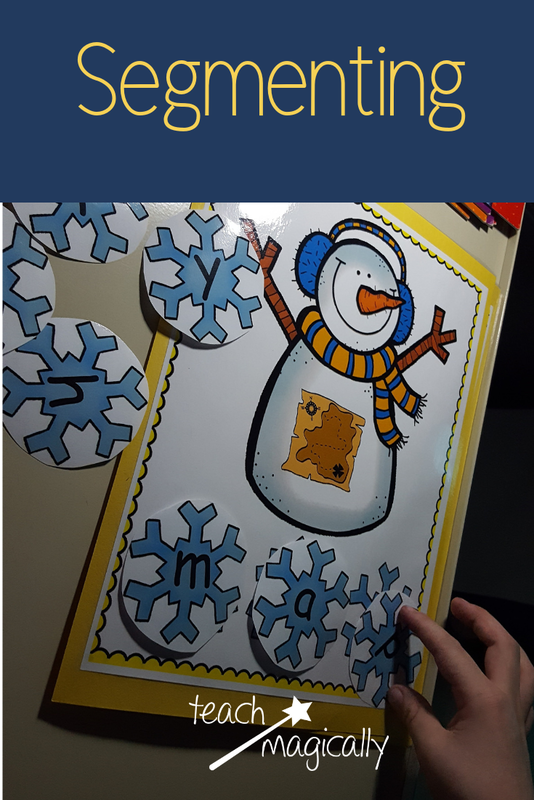 Since segmenting is such an important skill in Phonological Awareness, we used snowmen cards and pictures to match the snowflake letters to the picture on the snowman's belly. You can see the way all students stay involved at Snowmen Segmenting with Phonics. There is a free resource there, too! The picture will take you to the bundle. We also used cotton balls to segment the sounds with movement and then wrote the words on a snowball. You can find out exactly how at Snowmen Segmenting. This Easy Segmenting Activity is so much fun for students and it actually helps learners look through words which improves reading skills.